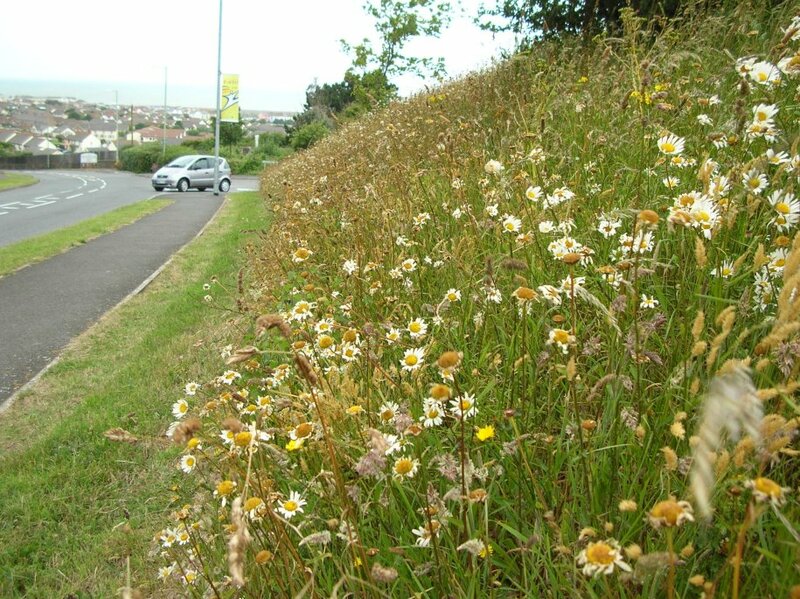 Road verges are an important wildlife resource and an integral part of Devon's heritage. They provide a range of habitats and are increasingly important wildlife corridors for threatened species and pollinators. They also provide one of the only opportunities for us to see wildflowers on a daily basis, in towns and villages, as well as in a largely intensively managed countryside. For more background about the Life on the Verge - Biosphere project and it's goals please click here. Get involved with the Life on the Verge -Biosphere project and help to protect and conserve these fascinating and vital pockets of wildlife. The first stage is for volunteers to survey verges across the Biosphere to find out which and how many plant species are visible on a particular verge. Once we know this, we can work out the best management techniques to help them into peak condition! This will often involve annual cutting and removal of clippings after the growing season, but might also involved techniques such a green haying or oversowing with local seed. Our verge survey is designed to be as simple as possible so that even those with no prior knowledge of botany can get involved. There's scope within the survey to show off your skills as they develop and for those with more advanced knowledge of our native plants already. Find all the survey documents you'll need to get you started. Our main priority is to ensure your safety , so please do ensure you read our guidance carefully before heading off to survey a verge. Free training session will be available though the project each summer - so sign up to our newsletter and keep an eye on our Facebook page for further details. In order to ensure that all volunteers are as safe as possible while working beside the highway, Devon County Council has recently released a free eLearning module on Highways Safety Training. You first need to register your name and email address with hwaymain@devon.gov.uk once they reply to you, login to the eLearning site at www.devon.learningpool.com and search for the course ‘ Highways Safety Awareness' as 'Self Enrolment'. We would urge all volunteers to complete this training, rest assured it doesn't take long to complete and it will help to keep you and those around you as safe as possible on our roads. The Life on the Verge Project- Biosphere has appointed local conservationist Jo Pullin to work with communities on road verge management. Jo Pullin says, “there are some wonderfully rich and diverse road verges in this area and it is great to have this chance to help communities look after them for wildlife and for the benefit of local people and visitors. Life on the Verge - Biosphere has been supported by a £49,300 grant from the Heritage Lottery Fund (HLF). Thanks to National Lottery players, we have been able to help communities to manage roadside verges for wildlife”. Life on the Verge - Biosphere has been supported by a grant from the Heritage Lottery Fund. Thanks to National Lottery players, we have been able to help communities to manage roadside verges for wildlife.